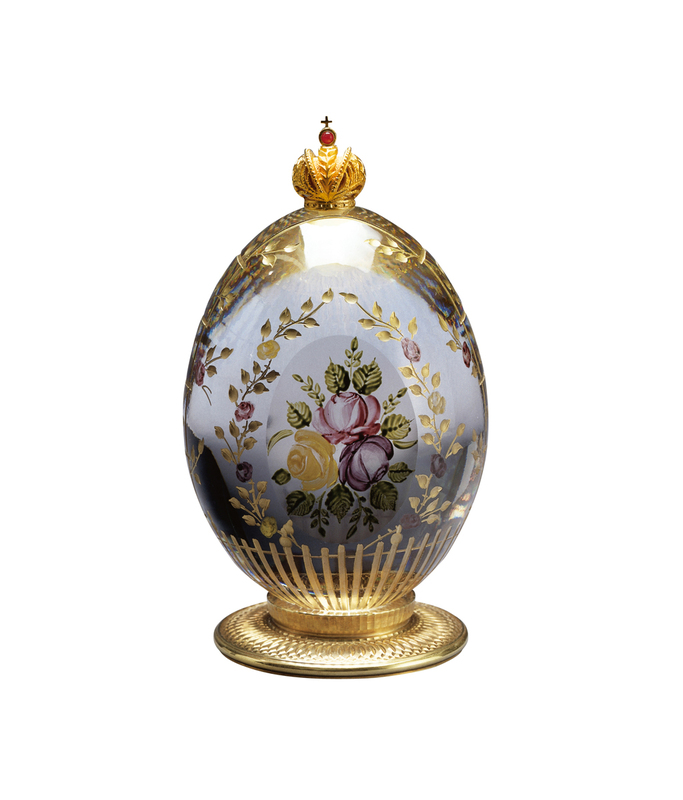 The Rose Garden Egg delicately portrays a bouquet of roses hand painted in enamel, surrounded by a 23 carat gold trellis abundant with blooms. 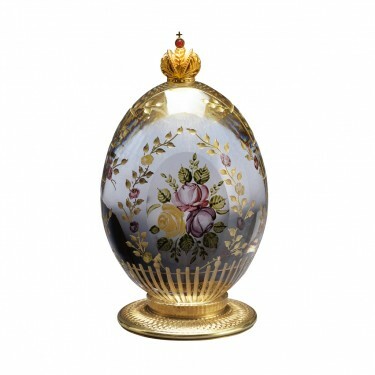 The Rose Garden Egg is offset with the Imperial Russian Crown in vermeil with a cabochon ruby and stands on an ornamentally turned decorative base. 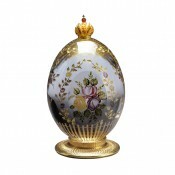 The surprise on turning the Egg, the rose bouquet appears mysteriously magnified within the lead crystal.